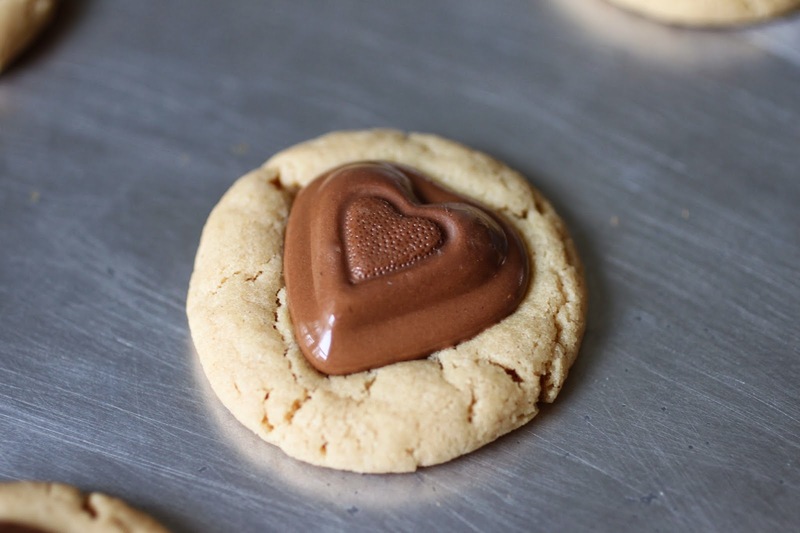 It is no secret that I love peanut butter and chocolate, especially when combined. I was at Target the other week (also another one of my loves, Target), and picked up a bag of Reese's Hearts for some Valentine's Day Baking. These cookies are delicious! I know my Valentine would love them, in fact he did. I had to take the cookies to work and ration him just a few because he could not stop eating them. Preheat oven to 375 degrees Fahrenheit. Beat together the granulated sugar, brown sugar, peanut butter, butter, vanilla and egg. Gently mix in the flour, baking soda, and baking powder. Shape dough into 1 /1/2 in balls. Place about two inched apart on ungreased cookie sheet. baked 8-10 minutes until edges are light brown. 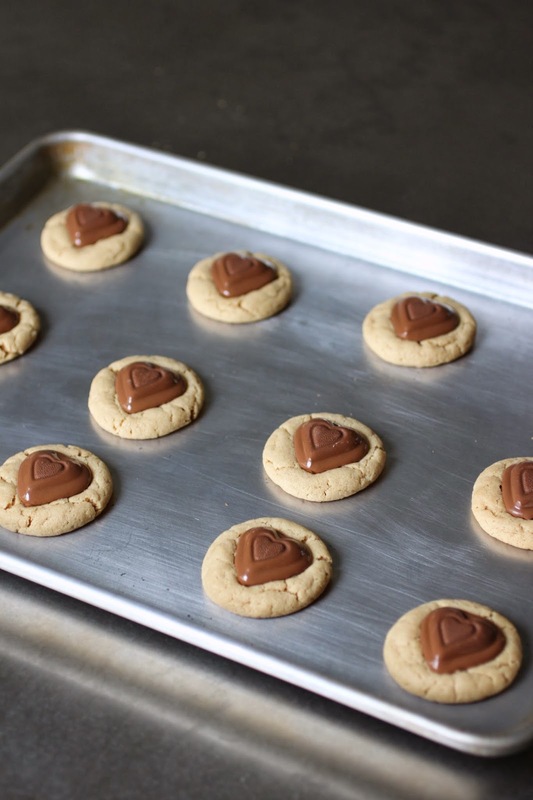 Remove from oven and cool on pan 1-2 minutes before placing peanut butter hear firmly in the center of each cookie. Cool completely on wire rack.